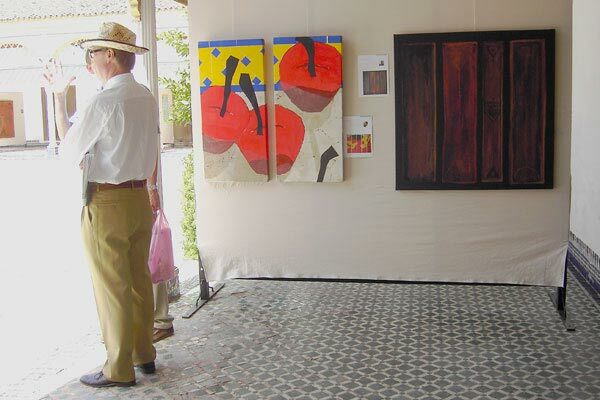 2018 : 2018: Polar, exhibition of the group 'Pôle International des Arts Plastiques' in Dar Cherifa, Marrakech. 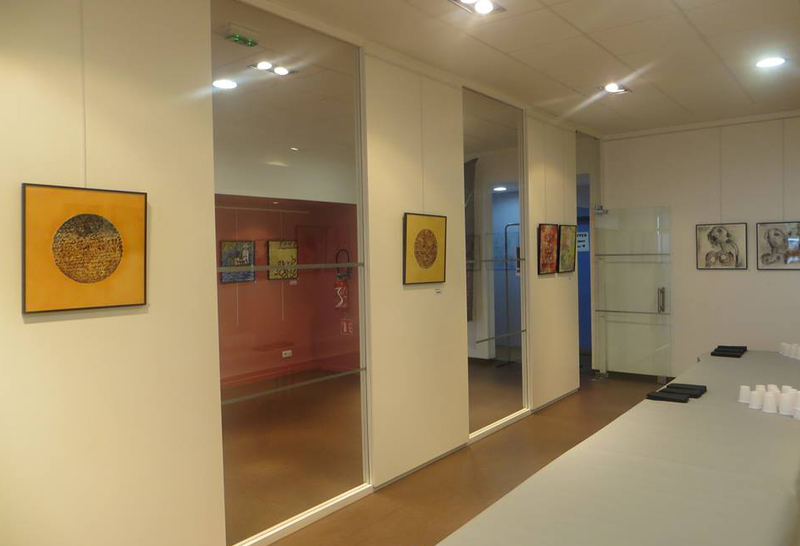 2015 : Festival of calligraphy at the Mediathèque of Longwy, France. 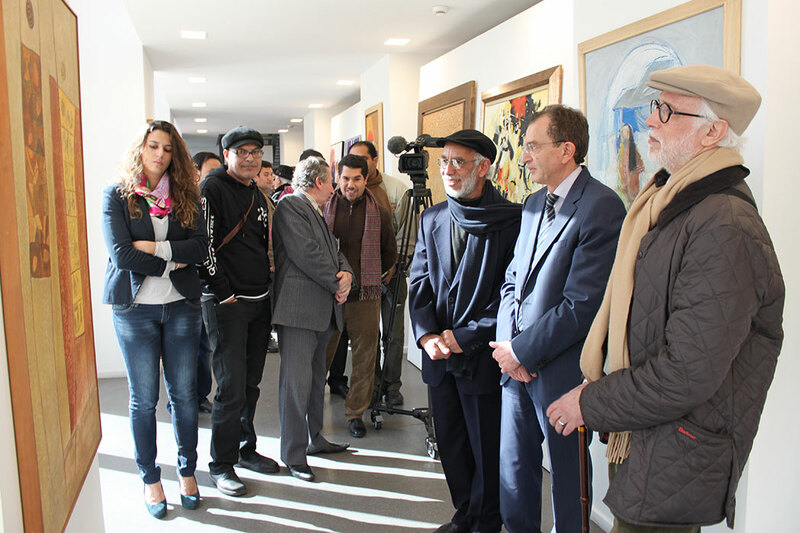 2015 : 50 years of painting in Morocco. Museum of the palmerais. Marrakesh. 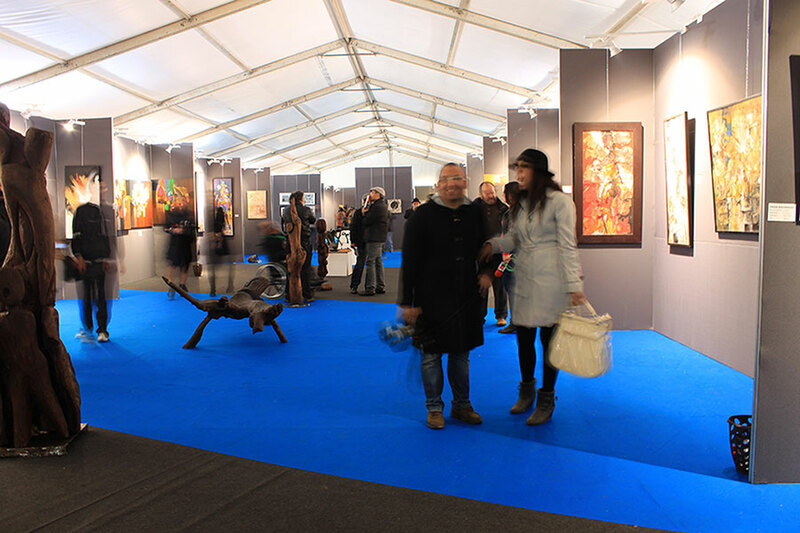 2014 : 3rd National Contemporary Art Exhibition, LE MAROC CREATIF. Marrakech. 2013 : Tutto Un-Museo Su Una-Parete, (All A-Museum-On A Wall) Vista galery, Rome. Italy. 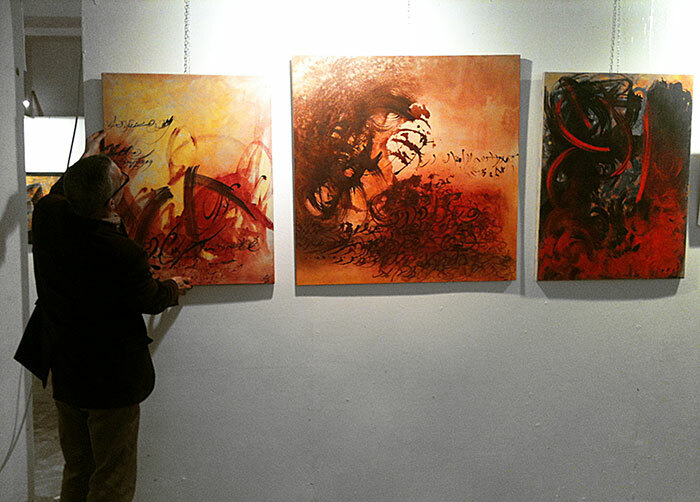 2010 : NOIR SUR BLANC gallery , Marrakech. 2009 : PALM PLAZA Hotel, Marrakech. 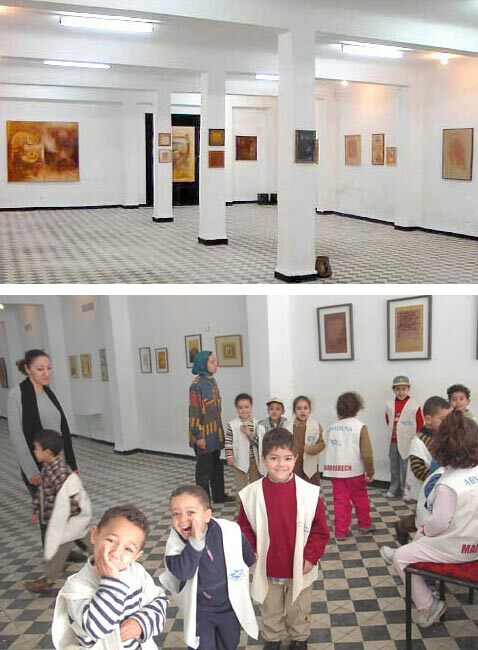 2008 : Fan-Dok gallery, Rabat. Maroc. 2007 : Atlas Medina and Spa Hotel , Marrakech. 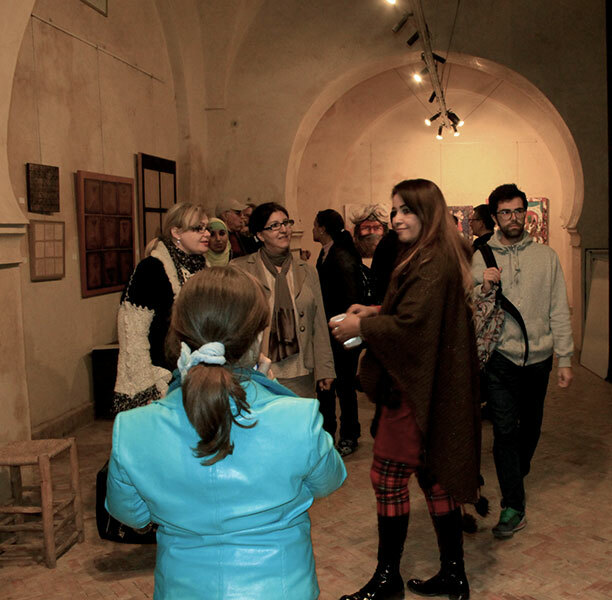 2007 : Al Maqam cultural space. Marrakech. 2007 : Exhibitions for the benefit of social work associations. 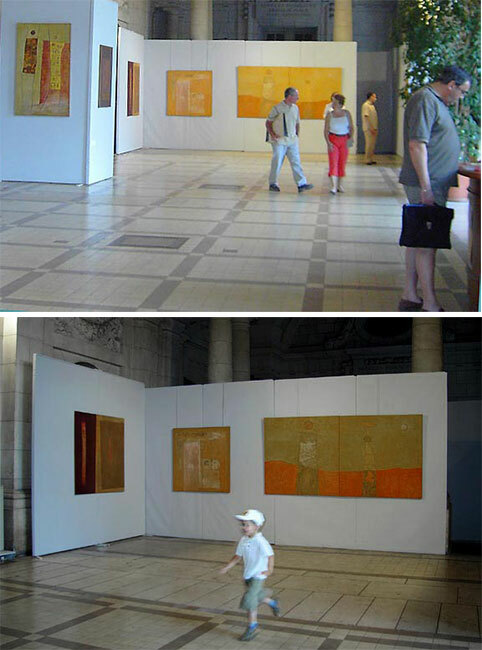 2007 : Exhibitions for the benefit of the association Soroptimiste, Marrakech. 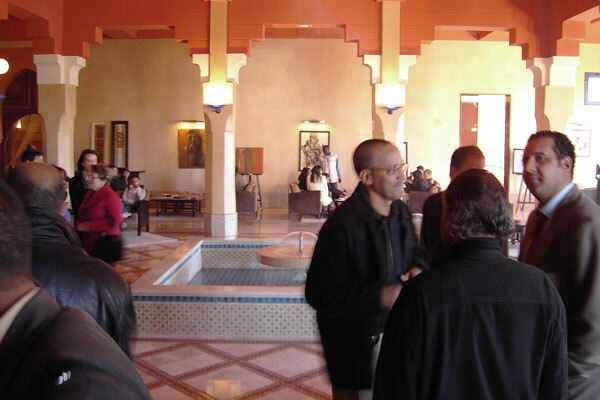 2005 : International Contemporary Art Festival, Palais Bahia, Marrakech. 2004 : Artists of Marrakech. 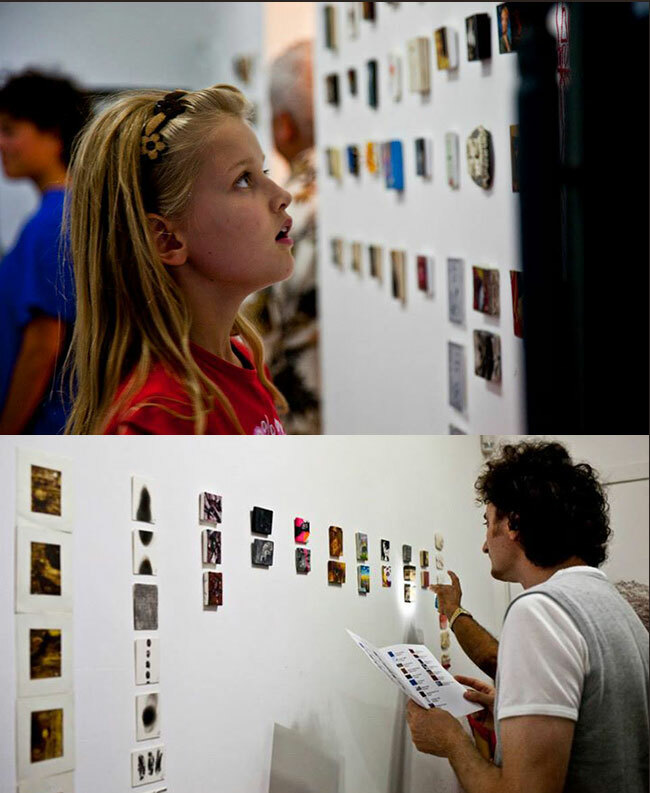 Les Atlassides gallery, Marrakech. 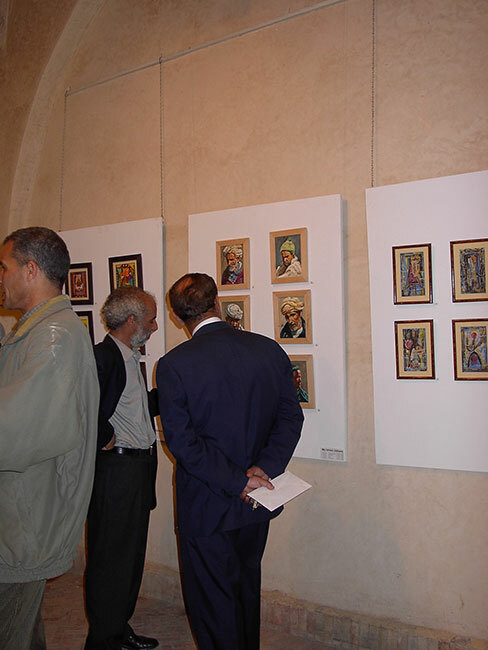 2004 :"Artists of Maghreb". L'Aubépin, France. 2004 :10th show of the Mediterranean, La Grande Motte, France. 2004 : "7+1 Dessins". Skaya Gallery, Marrakech. 2004 : Outdoor exhibition to Arset El Bilk garden, Marrakech. 2004 : Miniatures. Skaya Gallery, Marrakech. 2003 : Œuvres intimes. Skaya Gallery, Marrakech. 1995 : Plasticiens du Maroc, congress, Marrakech. 1994 : Cultural center, Marrakech. 1990 : Atlas hotel , Marrakech. 1989 : N'fis hotel , Marrakech. 1977 : Art Wallon Museum , Liège, Belgique. 1976 : Home students, Liège, Belgium. 1975 : American Language Center, Rabat. 1974 : American Language Center, Casablanca. 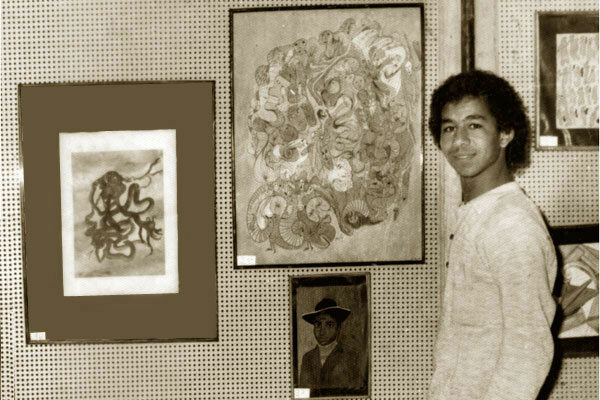 1973 : Al Manzeh gallery , Les Almoravides hotel , Marrakech. 2006 : Moroccan French days, mayor of Tours. France. 2003 : Quadrature du cercle, Marrakech. 2002 : 20 years of painting. Galerie Bleue, Marrakech. 1981 : Street market. Hasselt, Belgique. 1973 : Youth center, Arset El Hamed, Marrakech.